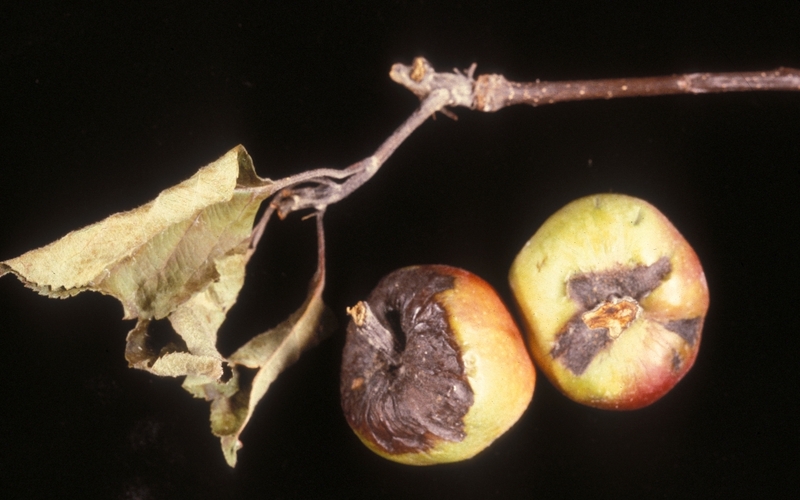 Fire blight is a bacterial disease commonly found in apples, crabapples, pears, hawthorns and European mountain ashes. Symptoms include leaves that turn brown or black and remain on the tree as well as dead twigs that form a shepherd’s crook at their tips. 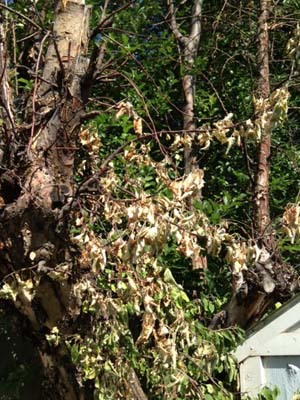 Fire blight infections result in dead twigs and limbs and can kill the entire tree if left untreated. Fruit production decreases as infection spreads, killing flowers and fruit shoots. Sanitarily pruning out diseased portions of infected trees is the most effective remedy.